Link Digital CKAN is a pre-configured, ready to run image for running CKAN on Amazon EC2. CKAN is the world's leading open-source data portal platform. It is a complete out-of-the-box software solution that makes data accessible -- by providing tools to streamline publishing, sharing, finding and using data. 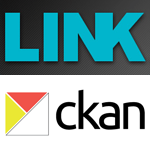 Link Digital has configured CKAN on Amazon EC2 with a number of add-ons pre-installed. CKAN's Open Source licence allows you to download and run the software for free.